Shutterstock/Pj AunSalads can carry a food-poisoning risk. Salads sold at Whole Foods, Trader Joe’s, and Walmart are being recalled due to listeria and salmonella concerns. While salad seems like a healthy choice, ordering a salad in a restaurant or buying ready-to-eat vegetables can put you at risk of food poisoning. Hundreds of pounds of salad sold at Whole Foods, Trader Joe’s, and Walmart are being recalled – and it is not the first time the nutritious choice has been linked to health risks. Food suppliers recalled a combined 2,811 pounds of ready-to-eat salads due to salmonella and listeria concerns, the US Department of Agriculture’s Food Safety and Inspection Service announced Wednesday. The salads were sold at chains including Whole Foods, Trader Joe’s, Walmart, and 7-Eleven. 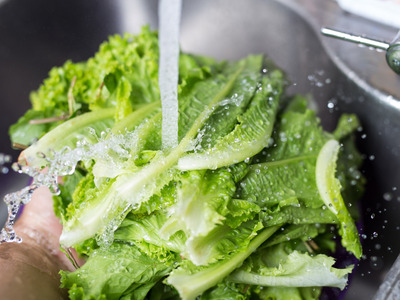 Salad and its nutritious components have already been at the center of two of the biggest food-poisoning outbreaks in the United States in 2018. A parasitic illness linked to McDonald’s salads forced the company to pull its salads and switch suppliers at roughly 3,000 locations in July. The outbreak sickened at least 500 people in 16 states, including 24 hospitalizations. Earlier in 2018, at least five people died in an E. coli outbreak linked to romaine lettuce. The CDC documented at least 197 cases of E. coli in 35 states, with 89 people hospitalized. Why are salads – often seen as the better-for-you option – making so many people sick? According to food-poisoning expert Bill Marler, the trend makes a lot of sense. While cooking vegetables and meat can kill germs, salads bring together a lot of different raw foods. Each step of the often extensive supply chain creates countless opportunities for contamination, especially when vegetables are sold pre-chopped and salads are packaged as ready-to-eat. In the most recent ready-to-eat salad recall, for example, the salad suppliers and grocery chains all had to pull salads because of a shared corn supplier’s salmonella and listeria concerns. As a result, Marler – who has won more than $US600 million for clients in foodborne-illness cases – avoids precut and prewashed fruit and vegetables “like the plague.” He also refuses to order salad at restaurants.